Poor farm-to-market infrastructure, higher cost of feed products versus neighboring countries, import liberalization, smaller margins, rising operating costs, high bargaining power of major fast food chains and supermarket groups, commoditization – these were major problems that Bounty Agro had to contend with simultaneously a decade ago. External forces were enough to stop any additional investment and perhaps, even divest in the poultry business like many others. But there is no such thing as bad industry, only bad perspective unmindful of the many lenses available in marketing. 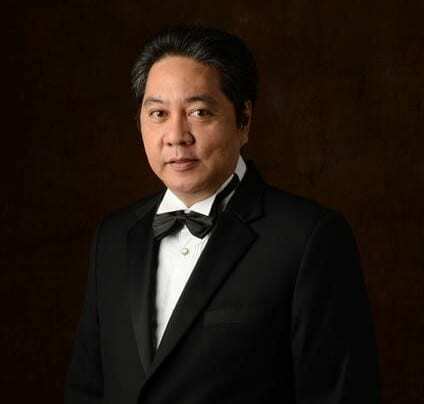 Enter Bounty Agro President Ronald Mascarinas who, with his board and his team, helped turn a crisis into a major opportunity. He generously shares insights about introducing a parallel business model, a channel innovation in a maturing industry. Bounty took a calculated risk and is now the dominant market leader in the cooked chicken retail industry. Q1: In a few years, you have opened more cooked chicken stalls in the Philippines than all other major brands combined. What made you in a hurry to open over 1,000 shops in your first 3 years? A: More than anything else, it was a defensive move to protect the income stream of the company. The writing on wall then on the competitiveness of the poultry Industry when tariff barriers are removed was scary. We cracked the numbers and it clearly showed that Industry feed cost is high and the poor infrastructure support makes the cost of growing chicken in the Philippines very high relative to major chicken producing countries in the region. Under that scenario, we seriously considered the logical possibility of traditional trade channels like supermarkets, wet markets and fast food chains shift to buying cheap imported chicken. We figured that 1,000 stores was the number necessary to completely replace the income stream from our poultry integration. It looks impossible to do it at that time since none of the leaders in the rotisserie business then do not even have a fourth of that number. But we rallied the entire organization nonetheless to pursue the massive store expansion under the threat of losing jobs when imports substantially replace locally produced chicken. Q2: Why did Bounty not suffer the same fate as Texas Chicken when fast food refused to continue order from their parent manufacturer? A: Our case was different from Texas Chicken in that the fast food chains volume was insignificant in our sales mix. Secondly, our investment per store was significantly lower (over 30x lower) than Texas chicken which allowed us much leeway to commit mistakes inherent in any massive expansion stance especially in a business new to us. We actually set up the system and controls on the run. We are in a unique position to do this because we have a lot of employees that we can trust that allowed us to expand with loose controls and these same people collaborated to set up the Management Control System on the run. Q3: San Miguel launched 200 chicken rotisserie kiosks over a decade ago but closed all of them after, what lessons did you learn from their earlier attempt and how did you avoid their mistakes? 1. Wrong location. Ovens were deployed mostly in the depots of distributors and dealers which were not necessarily good locations for roasted chicken. With lessons from our 10 pilot stores, we realized that a right location is the most important factor for the success of a rotisserie store. We invested enormous effort in the choice of store locations for our own rotisserie stores. We added dressed chicken in our product offering 2 years later when CTG had established a strong customer base. 2. Inconsistent quality. Operators of the rotisserie stores did the marination of chicken with supply of spice mixes from San Miguel. There were frequent run-outs of spice mixes which forced the operators to concoct their own marinades. We centralized the marination of chicken in our various plants across the country under strict supervision of company personnel to ensure consistency of product quality. We likewise chose to operate the stores ourselves instead of franchisees or any other third party. This allowed us to quickly address various problems that cropped up in the course of operating the stores during the start up phase. 3. Frequent break-down of rotisserie ovens and very little support in the repair of ovens. San Miguel used cheap ovens from China which cost less than 10% of the price of the reliable but expensive Heny Penny oven from the US. We used the same cheap ovens from China but accepted the reality that it will break down frequently. We identified that their were 2 parts of the oven that breaks down frequently. We trained our store personnel how to fix it. Since the ovens were very cheap, we deployed a spare oven in each store so that we can continue cooking while fixing the other oven. Over time, we figured out how to permanently fix the problem. All brand new imported ovens from China go straight to our Maintenance Center for immediate replacement of the weak parts and enhancement prior to deployment to our stores. We use the same ovens to this day but have gained much knowledge on how to improve it so that it operates like the reliable Heny Penny oven. Q4: After Chooks To Go (CTG) became successful, you leveraged your kiosks and use this channel to sell dressed chicken. How did you discover this as a viable opportunity? How has this help you attain incremental business results today? A: Selling of dressed chicken and all other various poultry products in CTG stores was really part of the plan from the very start but rolled out later. We thought that in a worst case scenario where poultry growing may no longer be viable in the Philippines, we want to have the option to stop growing chicken and simply import chicken anywhere in the world and sell it in our own shops. In any commodity business including chicken, the greatest margins are in retail and never in the production side. We want to participate in the highest margin part of the chain. Our results in selling dressed chicken in CTG shops are mixed but encouraging. We have areas in the country that sell more dressed chicken than roasted chicken in CTG stores. Q5: You launched Uling Roasters. What unmet needs are you trying to satisfy with this newer concept? Will this be bigger than Chooks to Go? A: We are extremely lucky to create a niche in oven roasted chicken and even become a dominant market leader in the roasted chicken industry. But on a national scale, the traditional charcoal roasted chicken is substantially bigger than our CTG. Filipinos still prefer charcoal roasted chicken thus the proliferation of thousands of mom and pops type of charcoal grilled chicken across the country. We believe that Uling Roasters will be bigger than CTG in the coming years. 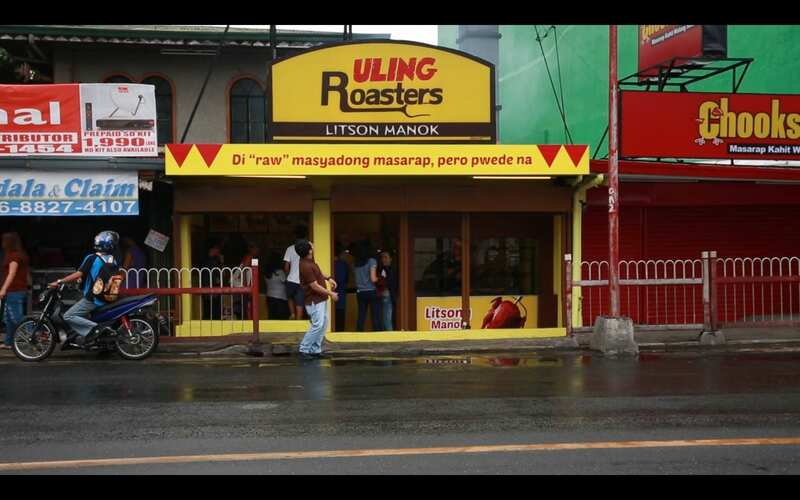 Q6: You have a courageous Uling Roasters’ store signage ‘Di ‘raw’ masyadong masarap pero pwede na.’ What was the insight behind that unique proposition? Do you plan to change this soon? A: That tagline started as a joke but that joke stuck. Every time we shared the joke with various groups people are always amused. We eventually saw that as an opportunity to differentiate given that all other brands have various claims that they are the best or # 1 for so and so reasons. Nobody is making a claim that they are second best. Of course, there was overwhelming objection within the company to really adapt that tagline. But just like any other wild idea, we always give it a chance to be tested in the market and let the public be the judge. We closed one store for a rebranding for about two weeks and re-opened it with the new tagline. Within the week of opening, the store went viral in social media with positive comments and believe it or not sales went up 40% to this date. While a lot of people do not agree to that kind of seemingly sloppy branding, the consuming public thinks otherwise. The sloppy tagline encouraged trial, boosted name recall of the brand Uling Roasters and more importantly same store sales went up significantly with the wild re-branding. This tagline may be here for long. Q7: What criteria do you consider to put up an outlet? How do you decide whether to put Chooks To Go or Uling Roasters? A: A site good for CTG is also good for UR and vice versa. We now have a proprietary software that computes the algorithm for all possible factors for a good or bad site that allows us to decide on a prospective site within a few hours. This is critical because we are competing with a lot of businesses for available store sites. We are now faster on the draw in securing sites because of this software.